But this universal “law” doesn’t just apply to wealth creation. For example: 20% of the roads get 80% of the traffic. 20% of the runners take 80% of the trophies. This even works for learning violin. And the numbers are even more surprising: Only 20% of what your violin activities will produce fully 80% of your results. And it may even be more like 90/10! Meaning: what’s on your violin, and how does it all fit your body? This is fairly basic stuff, and a lot of it is just pure common sense. Still, I can’t think of one other thing that can so quickly improve your playing. Nothing will get you there faster than correctly setting up your violin. Violin setup is truly your low hanging fruit. And that’s why I put violin setup in all of my violin teaching. When you’re making up for lost time, you need a plan. A lifetime of work and much trial and error goes into creating a usable 80/20 practice system. You could delve into dozens of pedagogy books, expensive lessons and master classes. You could make all the mistakes I made. Or you could cut out the boring, pointless and ineffective busy work and learn from my my mistakes. Not to mention my wins! That would be a true 80-20 play, yes? P.S. An 80/20 strategy is especially important if you’ve been around the block a few times. I love working with adult students in Morro Bay, Los Osos and San Luis Obispo! It’s our first Christmas on the Central Coast! We’re thrilled to bring music lessons to Morro Bay, Los Osos, Cayucos and all of San Luis Obispo County! For our violin and singing students: No lessons the week of December 21 and December 28. Lessons resume as normal on the week of January 4. Enjoy your holiday! We’ll see you in 2015! Thinking about Singing Lessons? New violin under the tree? If you’re looking for “singing lessons near me” or “violin lessons near me” were currently enrolling for the 2015 term. Call the studio at 805-254-2704 for more information! Tuesday afternoons from 2:30 p.m. to 3:20 p.m. at Del Mar Elementary School, beginning on October 7. Though the class is designed for beginners, it is also great for students who have played in the past but would like a refresher. I created a 3 minute video for potential students, which may be viewed below. Also visit this page for registration information. Instrument Check Out Day – Saturday Sept. 27. The San Luis Obispo Symphony Strings in the Schools program has a limited number of low cost rental violins. Due to large demand, the Symphony is unable to accommodate all Strings in the Schools students with instruments. We highly recommend using the online options such as Shar Music orAntonio Violin with rentals beginning at just $15 a month. Contact the Symphony’s Music Education Director, Andrea Castillo for additional information about registration and instrument rentals: (805) 543-3533, Ext. #583 andrea@slosymphony.com. You have a violin passion, so it seems logical that practicing the violin music you most love is the thing to do. To “go with your passion” is indeed popular advice. If instead, you can grow passionate about about other music, such as etudes, scales, or music chosen for you by others (orchestra, or teacher for example), it’s far more likely that your musical journey will move ahead further and faster. 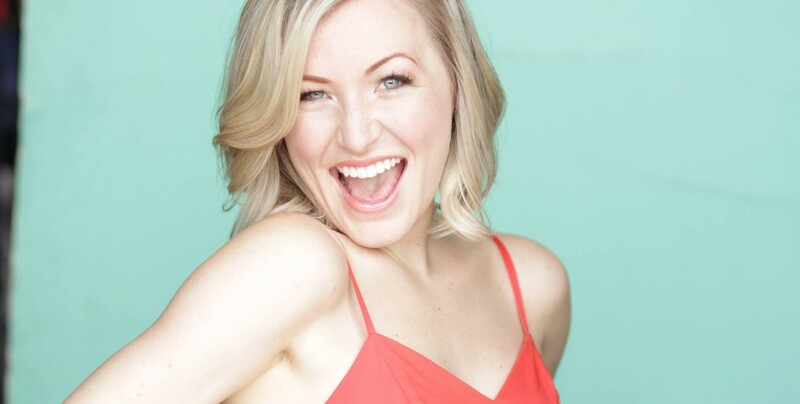 Congratulations to Alpert Studio alumna Ms. Maggie Anderson on booking her first national tour! She will be carrying the female lead Jovie in Elf the Musical. If this adorable ball of talent ends up in a city near you, run, don’t walk to see her! Much love from her teacher Melanie Alpert and the entire studio family! Why Take Music Lessons, continued! The President of Berklee College of Music, Roger Brown, says it all in 4 1/2 minutes! How a violin practice transforms your life. 1. Learning how to truly master specific skills leads to a fulfilled life. 2. Motions and actions are how you shape your basic approach to the instrument. Using simplicity, ease and mastery moves you through life gracefully. 3. Practice is defining specific goals. Defining. Specific. Constant clarity. 4. Practice strategies are the pathway to your mastery. Thus choosing work that matters and doing that work mindfully, will produce a high quality result. 5. Performing is creating work that is important to other people. Like sales and marketing hinges on understanding others interests, problems and aspirations. 6. Performing is also facing up to your challenges. Life presents us with such challenges on a regular basis. 7. Choosing the violin (or any instrument) teaches you to define and implement large projects. The violin or any instrument becomes transformational when (and only when) you approach it from this larger perspective. If you’re in it just to learn a couple of songs, that’s OK too. Just don’t expect any more than a quick diversion. It's official! The Alpert Studio is accepting applications for voice lessons, singing lessons and violin lessons for students in Morro Bay, San Luis Obispo, Cayucos, Atascadero, Paso Robles, and surrounding areas. Click here to view my profile page at LessonMaestro.com.